Our WordPress IDX plugin is easily one of our clients’ favorite products – simply because of how quickly it gets you indexed for idx listings on your domain. See, the way it works is: once the IDX plugin is downloaded and activated on your domain, it’s going to take every single listing as soon as it hits the MLS and create what we call a “virtual page” on your domain so that the listing gets indexed. Of course there’s certain things that you’ll want to do to make sure all these IDX listings are optimized for both search engines and site visitors, but we’ll talk about that in another post. For now, let’s answer some of your top questions on the dsIDXpress IDX plugin. For a full list of questions and answers regarding our IDX solutions, be sure to have a look at our IDX FAQ page. Is it free to create a WordPress blog for my real estate site? It’s free to create a real estate blog or website using WordPress; but you will need to pay for hosting for your WordPress site. A typical hosting server will generally cost between $8 and $12 a month. Does the IDX plugin include any map search abilities? Unfortunately, no. As its name implies, our mapping IDX is all about searching MLS data using a map interface, but our IDX plugin has no built-in map search abilities. dsIDXpress will plot search results on a small Google Map, and you can create sidebar widgets that will show listings on a map – – but there is no option for users to perform new searches on a map. 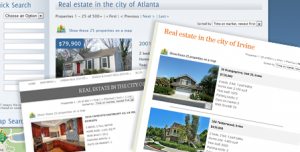 Will my domain get indexed for every property in my MLS? Once you install dsIDXpress, your site will show every IDX listing available in your MLS. Every IDX page on your site is fully indexable, and can be viewed, crawled, and indexed by any search engines. However, because this could mean thousands (or more) listing pages. most sites do not get indexed for every IDX listing. Generally speaking, IDX listings located in the cities or areas that your site already has good content for tend to get indexed the best. Is dsIDXpress compatible with WordPress (MU) Multi-Site? Yep! You can use our IDX plugin with the Multisite version of WordPress. Are there extra costs to use dsIDXpress on more than one URL? Yes, pricing for dsIDXpress is based on the number of domains where you have activated the plugin. Our regular setup fees, monthly fees, and approval process applies to each website using the WordPress plugin, however discounted pricing is sometimes available for additional domains used on the same account. What other questions do you have about dsIDXpress? What would you like to see in a future IDX webinar? To test-drive dsIDXpress Free on your WordPress site, download a free demo account (with test data) here. Thanks, Ricardo. We are very happy with our DS IDXPress! Can the idx property widget narrow the data down to street address. I only want to show certain condominium buildings on my WordPress site and the only way I can think to do this is by street address. I’m sorry, no. You wouldn’t be able to do this with dsIDXpress only as we do not have a parameter/filter for it. Instead what you would need to do is create a “custom link” in dsSearchAgent that filters down to the street level, then import that custom link via a shortcode in dsIDXpress. Thanks Jay! Always appreciate your feedback! dear god, improve this product. it has been the same for a years.